SAALT offers a variety of ways to share its issue-area expertise to help you in planning conference speakers, workshops and trainings, as well as help community, student, professional, cultural and religious groups learn more about our work. 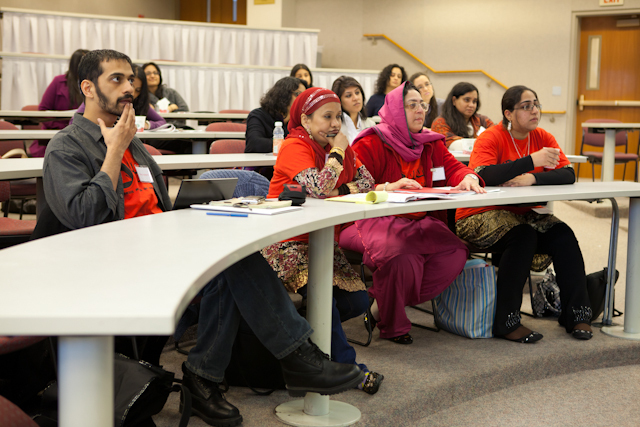 SAALT staff can work with you to plan and facilitate trainings and workshops around a variety of topics from civil and immigrant rights to the value of social justice in the South Asian community. SAALT has worked with student groups, membership organizations, nonprofits and educational institutions to bring expertise in areas from immigration and civil rights, leadership development, bias and discrimination policy, social justice and more. Looking for a speaker for your event, panel or forum? If you are interested in working with SAALT for a training or workshop, please email us at info@saalt.org. Need a keynote speaker for your annual meeting? Need issue expertise at your next panel or forum? 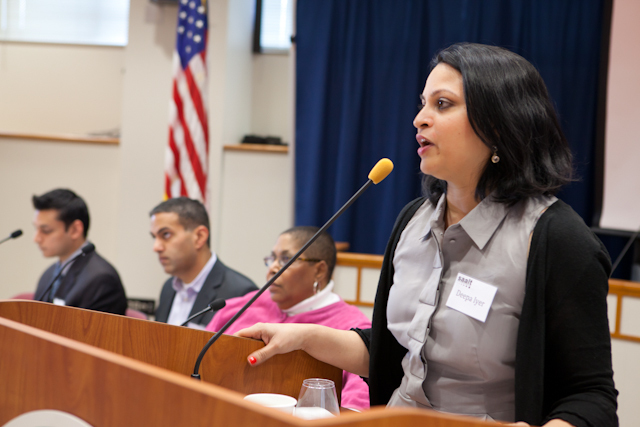 SAALT staff have participated in and given speeches for numerous annual membership meetings, issue-based panels and community or media forums. If you are interested in inviting SAALT to speak at your event, panel or forum, please email us at info@saalt.org. Want to share SAALT’s work with your student group, professional organization, cultural or religious association? SAALT is always excited to share our mission of strengthening South Asian communities with community members and groups. If you are interested in discussing SAALT and its work at a future meeting of your student group, professional organization, cultural or religious association, please contact us at info@saalt.org.